What’s better than good food? Good food with a good view, of course! 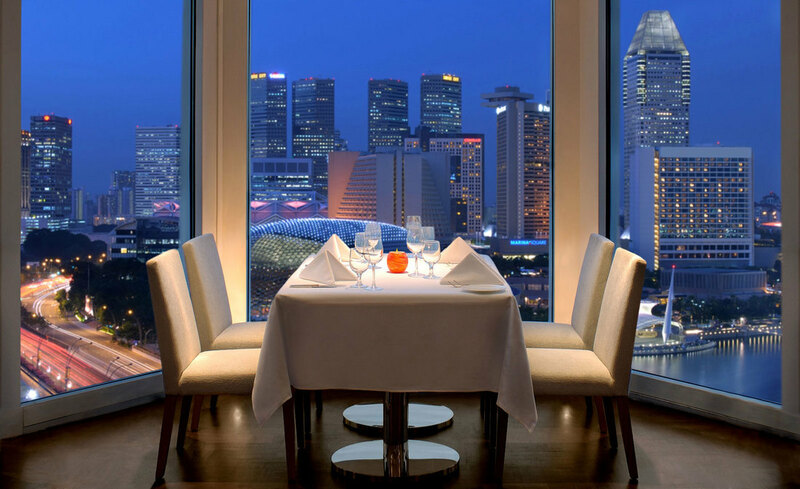 Read on for our top picks of the greatest restaurants with a view in Singapore for your romantic dining experience. Sitting right at the historical pier where the country’s forefathers landed, The Clifford Pier is an iconic dining destination serving up a diverse range of cuisines that honour the city’s multicultural heritage. The elegant colonial architecture of the restaurant itself already provides much to admire, but the surrounding views of the skyscrapers and the Singapore River provide even more stunning backdrops for photos. Situated within one of the top museums in Singapore, the National Gallery Singapore, Smoke & Mirrors exudes class and sophistication with its decor, furnished with wood, copper tones and intimate lighting. You’ll find everything from comfort foods to bar bites on their menu, with carefully curated wines, whiskeys and beers. 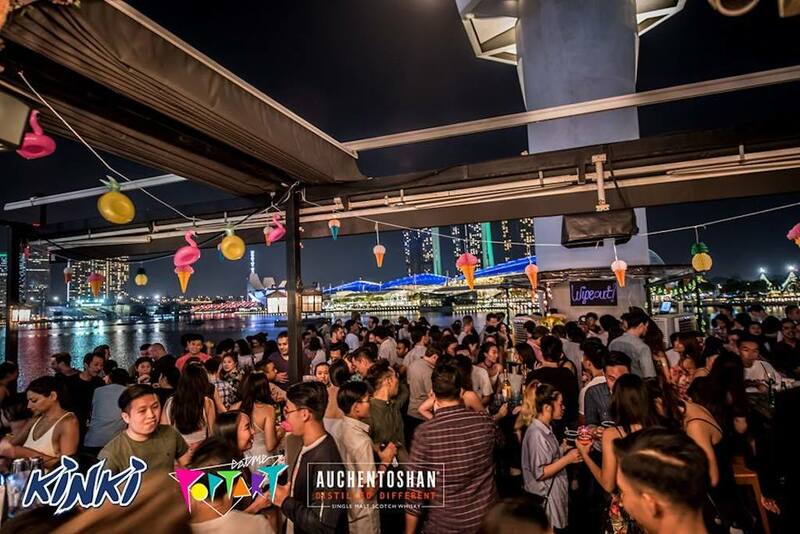 But food and drinks aside, perhaps one of the most appealing things about this establishment is its unobstructed view of the Padang and Marina Bay. If you’re looking to get away to the actual Padang in Indonesia for a foodie tour, here is our itinerary. Need to make small talk at dinner? These interesting facts about the Marina Bay Sands will be a great conversation starter. A modern multi-concept dining destination, Aura is another restaurant located in the National Gallery Singapore with a spectacular view. With a menu of classic Italian flavours, Aura uses the finest ingredients from land and sea to whip up dishes like the Minestrone Cream with Basil and Walnut Pesto, Fettuccine with Spanner Crab, Prosecco and Fennel Pollen, and Ricotta Cheese Ravioli with Eggplant, Tomato and Beluga Capers. Looking for more authentic Italian restaurants in Singapore? Try one of these out. The flagship establishment of celebrity chef Wolfgang Puck, Spago serves up great food and an equally great view. 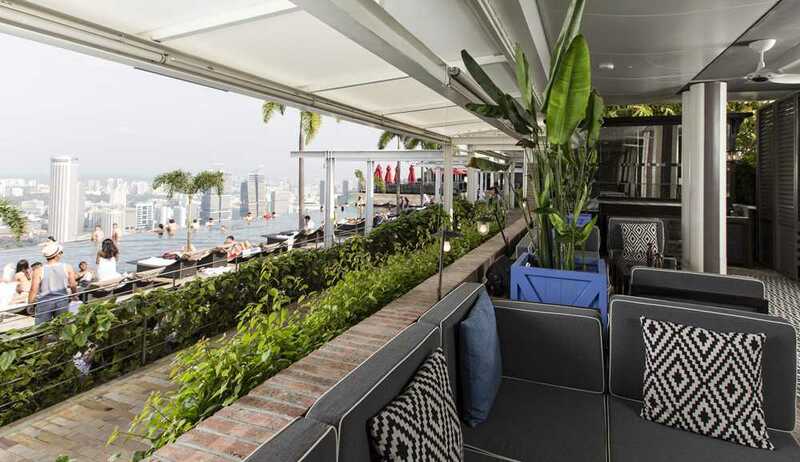 Situated at the 57th level of Marina Bay Sands Tower 2, this upscale restaurant has a terrace lounge and an al fresco bar, providing excellent vantage points from which to enjoy the cityscape. The menu includes innovative dishes like the ‘Kaya Toast’, which consists of seared foie gras with pandan coconut jam, mousse and toasted brioche. 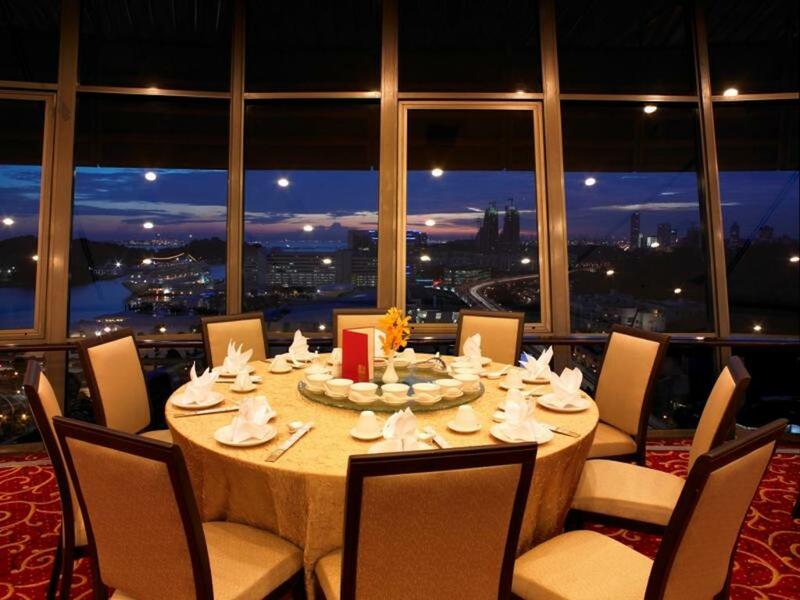 For homely Chinese cuisine coupled with a spectacular view of the Marina Bay waterfront, Tong Le Private Dining is the place to go. 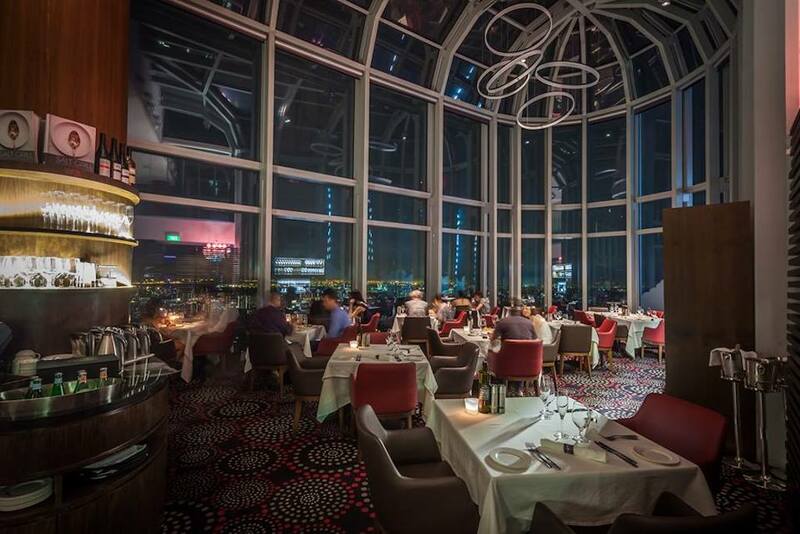 Floor to ceiling glass windows enable diners to enjoy the view while digging into traditional delights like Poached Crystal Prawn and Crispy Roast Iberico de Bellota Pork. For a more special experience, they even have private rooms with karaoke facilities at Level 8 of the restaurant. Prima Tower Revolving Restaurant, as its name suggests, offers a unique dining experience that lets you admire a panoramic view of the sea while savouring exquisite Beijing cuisine, in a nostalgic and retro setting. 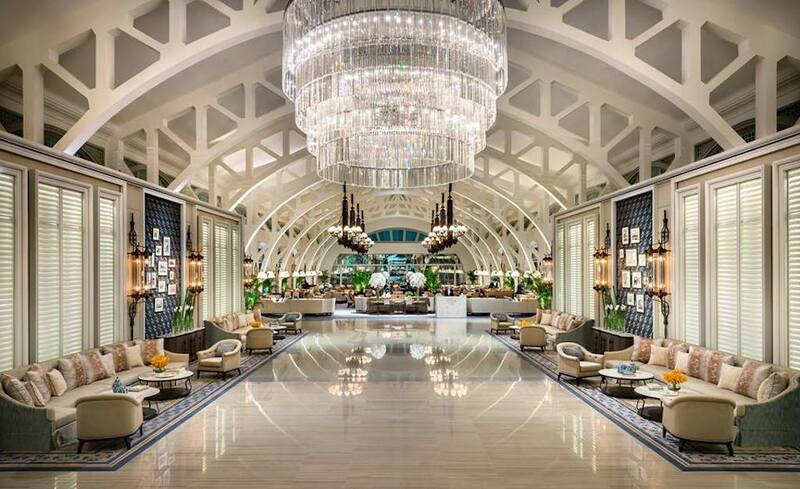 Awesome view aside, highlights on the menu include the classic Peking duck with crisp skin and succulent flesh, as well as the signature dish of shredded scallops, fish meat and silky egg white. Kinki is a feisty restaurant and bar that’s decked out in attention-grabbing murals, but don’t let the art on the walls steal the show. The view of the Marina Bay skyline and waterfront is also not to be missed. To make your night even better, order some of their mouth-watering creations like the Foie Gras & Scallop Sushi, the Sake Sashimi Belly, and the Wagyu Beef with Foie Gras Donburi. P.S. Try to snag seats by the water to enjoy your meal with the river breeze! 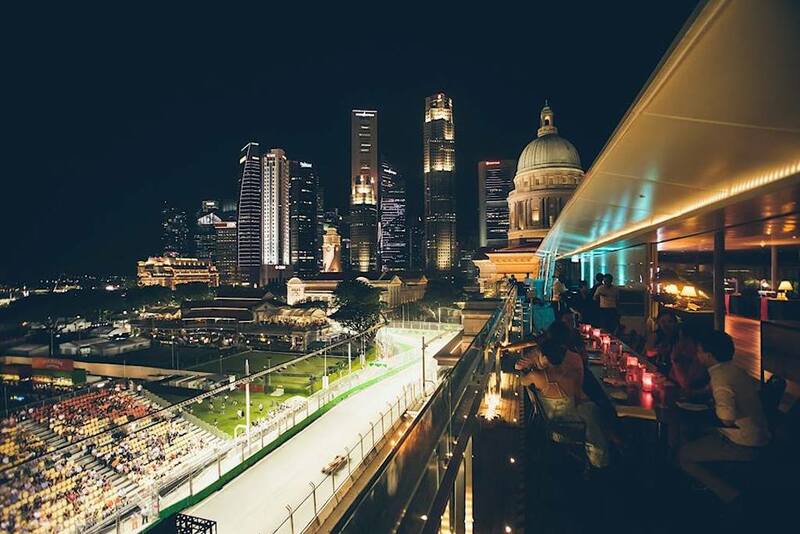 Sky-high establishments are definitely some of the most luxurious places to dine. The Salt Grill & Sky Bar located in the heart of Orchard Road, Singapore’s most popular shopping belt, is one such place. Perched at 55 storeys above the ground, the restaurant offers Asian classic dishes, premium Australian beef and signature dishes of Australian restaurateur Luke Mangan. To make your experience even more unforgettable, you’ll also be treated to amazing views of the city below. Now that you’ve got a taste of Australian deliciousness, time to head to Margaret River for some wining and dining. Here is our itinerary. 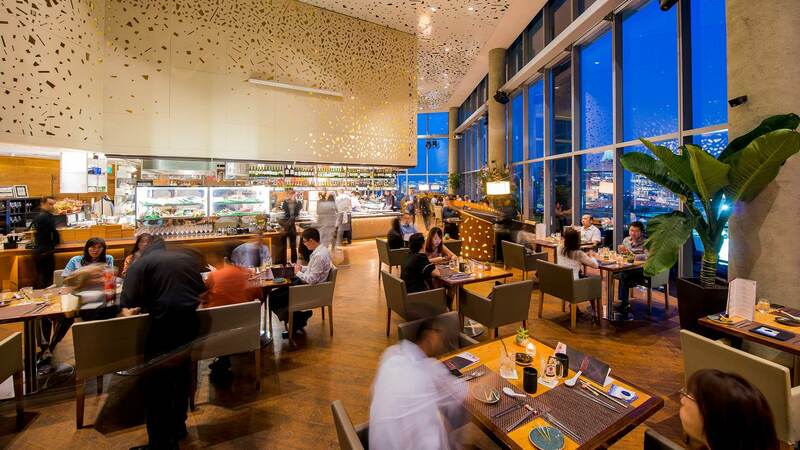 From the open-concept kitchen, to the breathtaking views of the city’s financial district and Marina Bay skyline, ME@OUE is a restaurant that boasts many attractions. The extensive menu of Japanese, French and Chinese fusion cuisine is yet another highlight, with dishes like the Mapo Tofu with minced pork and Szechuan pepper chili sauce, the “Bara Chirashi”, made with Okinawa white-fish, salmon, ikura, uni, black truffle and Kashihikari rice, and more. The Lighthouse Restaurant is an authentic Italian restaurant atop The Fullerton Hotel, a location that commands one of the best views of the waterfront. 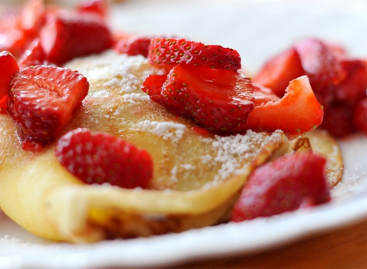 The menu includes specialties from Campania, Sardinia and Sicily, such as the Angel Hair Pasta with Maine Lobster, Antipasti Seafood Trio, and the Strawberry Compote with Meringue and Vanilla Chantilly. 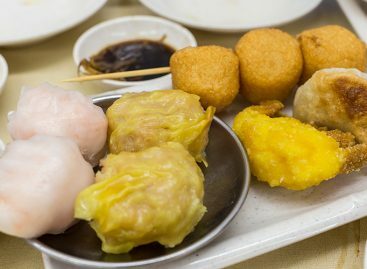 If you’ve never tasted Singaporean food before, now is your time to try! 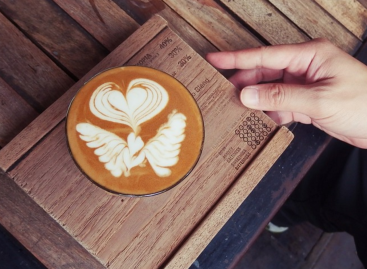 Here’s our list of the best Singaporean restaurants in Singapore. These are really amazing ..